The term ‘hockey specific training’ gets thrown around a lot in the hockey world, and parents are all too eager to sign their kids up for summer camps and weekly hockey lessons to help shape their budding child into the best player they can be. Is making kids play exclusively hockey, and spend hours on the rink per week the right method to develop an athlete? A lot of professionals don’t think so. It’s been made very public that National Hockey League coaches and scouts can tell when a prospect played multiple sports as a kid, and a prospect who only played hockey. Players who only play hockey while growing up tend not to develop properly as a hockey player, and although the skill is there, the athleticism and core strength is below average. On the other hand, prospects who played football, basketball or other sports while growing up develop into all-around better athletes, which in turn makes becoming an elite athlete easier. Where is the balance between simply playing sports and focusing on hockey, and when should young athletes focus specifically on a single sport? I spoke with Adam Nugent-Hopkins, a strength and conditioning coach for elite athletes in British Columbia. Adam has started his own company, ANH Strength Performance, and he is recognized as one of the top young sports performance coaches for hockey Canada. He studied Execise Sciences at Concordia University last year, and he played for the Varsity team, the Concordia Stingers. 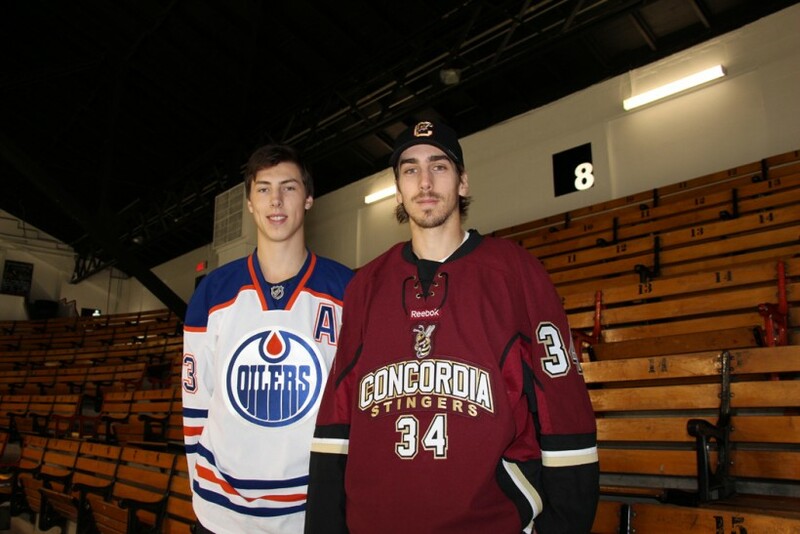 His brother is also Edmonton Oilers superstar center Ryan Nugent-Hopkins. Adam believes that parents and kids are being sucked in to the fad known as hockey specific training. Adam does not deny that practicing hockey is important to developing skill, but it isn’t the only aspect which needs to be focused on. Hockey is a sport that requires a lot of skill, be it skating, stickhandling, checking or shooting. However, Adam truly believes that training the body and mind into one of an athlete is the building blocks for success in any sports. If you need living proof, look no further than his brother Ryan, who is already leaving a mark in the National Hockey League as a super star. He said parents who want their children’s dreams of becoming a hockey star to come true must realize that playing one sport is not the way to develop an athlete. Focus on becoming an elite athlete before deciding what sport to play. Just playing hockey day-in and day-out won’t turn someone into an elite athlete. If you want your kid to develop into the best athlete that they can, make sure they don’t play one single sport. Play summer sports in the summer, winter sports in the winter, and develop into an all-around athlete. Playing hockey year round may make them the best player on the local rink, but in the long run it will hinder their chances of developing into elite athletes.